Another new year. Another fresh start. Another opportunity to try new things - especially new food. Forget what's trending, what's hot, what latest buzz word is emblazoned on every package when shopping - and just pick up something that you've never tried before the next time you're at the farmer's market or supermarket - or my favorite place to shop, the ethnic grocery store. And don't forget to share your findings. Here's to 365 days' worth of new food adventures. Happy New Year to all. And thanks for sharing your time with me. Cluck, yeah. Blue Ribbon Fried Chicken Hits the East Village (Almost). Fried chicken dinners come in a variety of combos or by the piece. The chicken is moist and juicy on the inside, and coated in the signature thick matzo meal crust. The crust is only lightly seasoned and definitely benefits from the flavor boost of honey-based sauces scattered on the tables. Combos come with a crisp cucumber salad and pencil thin fries. The hefty chicken burgers look tantalizing - and feedback from other diners confirmed it. Sides and salads don't disappoint. The fried dilly beans - pickled, deep fried green beans - have a sour tang that grows on you. And the blue cheese, bacon topped iceberg wedge makes a sinful side salad. There are other special menu grabbers like Mexican Sprite and Coke. And for dessert, check out the ice creams in creative combos. Carrot and habanero, anyone? 28 E 1st Street @ Second Ave.
A visit to Toronto's InterContinental Hotel introduced me to one of the all time great no bake desserts that no one's heard of. Well, no one outside of Canada, maybe. The Nanaimo bar, named for a random Vancouver Island city, dates back to the 50s, and sandwiches some of the most decadent pairings - chocolate, vanilla custard, biscuit crust. The addition of ground almonds and coconut in a Digestives cookie base sends me into a blissful sugar coma. After sampling it off the hotel's dessert tray, I immediately Googled recipes and found myself racing to the nearest market to find the only unfamilar ingredient for most Americans: Bird's custard powder, a classic British baking item which creates an egg-free custard (and can be found in the US online at World Market and specialty retailers). Skip brownies and see how this becomes your party go-to dessert. Warning: it's not low cal and you can't eat just one bar. There are many variations on the bar. This recipe has been adapted from the town's official visitors site. I used far less butter than originally listed. Melt first 3 ingredients in top of double boiler. Add egg and stir to cook until thickened and glossy. Remove from heat. In a separate bowl, combine crumbs, coconut and nuts. Fold crumb mixture into melted chocolate until uniform. Press firmly and evenly into an ungreased 8" x 8" pan. Let cool in refrigerator while preparing next layer. Cream together butter, cream, custard powder, and confectioner’s sugar. Beat until light. Spread over cooled bottom layer. Refrigerate to set while making third layer. Melt chocolate and butter over low heat. Cool. Once cool, but still liquid, pour over second layer and chill in refrigerator. Cut into squares and serve chilled or at room temperature. Freezes well. Makes 25 bite sized morsels or 16 large bars. At last weekend’s Summer Fancy Food Show, home grown vendors showed off some of the coolest new products in a sea of 2,400 exhibitors from 80 countries, reminding us why NYC is a leading incubator for artisanal food innovation. LifeIce – Creator Paulette Fox turned personal family tragedy into a brilliant product idea. 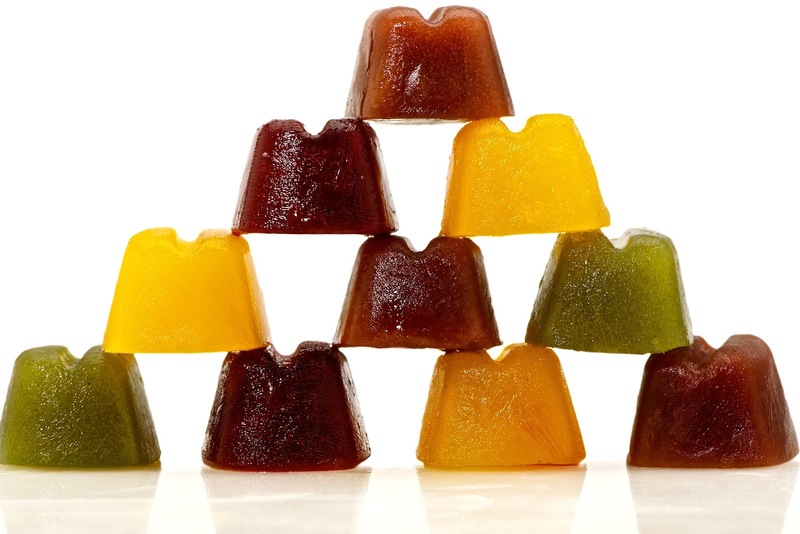 Delicious shelf-stable mini ice cubes come in all natural flavors and are perfect for guilt free snacking with all the benefits of superfoods including mangosteens, Yumberry and kale. GMO-free too. We Rub You – I’ve been a fan of the Chung sisters’ eponymous Smorgasburg stand since they started slinging divine Korean bulgogi sliders coated in homemade sauces. Their Spicy Korean BBQ Marinade just beat out 109 other finalists to be crowned the Show’s sofi ™ Award for Outstanding Cooking Sauce. The Saucey Sauce – Continuing the trend in small batch international sauces, brother and sister duo Toan and Ken swiped their mom’s classic nuoc cham recipe to inspire their line of all natural Vietnamese dressings + marinades. The Hot Habanero KetJap packs blazing chilies into a blend of fish sauce, garlic and tomato paste for a memorable meat marinade or topper on sandwiches and fries. Named after the Brooklyn bar where it was created, Floyd Beer Cheese is the self proclaimed “must-have midnight snack cheese.” I don’t disagree. The original flavor is similar to Southern favorite pimento cheese but with a very important distinction: real aged cheddar is used instead of the processed stuff. MitchMallows -Why eat a boring marshmallow when you can savor a handmade MitchMallow in unorthodox flavor combos that really work. Along with more classic combos such as cinnamon dusted churros, the addictive ginger wasabi or crunch coated pretzels + beer deserve some serious attention. Lower East Side’s Rick’s Picks, a former sofi winner, added more pickle power to his growing line in brine with the Sweet + Sassy Mix Italian giardinara. Not every terrific product I sampled was from New York. Other outrageous standouts, most of which are all available in NY retailers, include Magnolia Avocado Ice Cream, a velvety tropical dessert without cloying sweetness. Biena and SaffronRoad both make crunchy chickpea snacks in exciting flavors such as BBQ and wasabi. I was also glad to see an old English classic from 1814 finally getting some US of A attention. Colman's mustard is one of those secret ingredients where a little goes a long way in so many savory dishes and spreads. Its fiery kick is a favorite of chefs like Nigella and Martha and worth adding to pantry staples. Last fall Hurricane Sandy tragically tore through the seaside community – and burgeoning foodie haven - of the Rockaways, literally sweeping away chunks of boardwalk. As summer officially begins on Friday, here’s an update on the current state of one of my favorite beach day destinations. The good news is that the beach looks cleaner than ever (and so do the revamped bathrooms). The new concrete boardwalk, part of the $140 million restoration, is underway. Rippers, in the 86th St. concession building, is sporting a new lime green look and operating as normal. It's surrounded by a renovated block and gleaming overhang. But so far, it’s one of the few remaining food vendors around after the storm. The 97th St. concession building is empty for now. Last summer it was swarming with hungry hipsters eager to sample boat-sized fried fish from Motorboat and the Big Banana to spicy Thai som tum from Ode to the Elephants. For now, you'll have to venture a few blocks inland to the original Rockaway Taco. Rockaway Taco, a magnet for local surfers and skateboarders, started the beach food craze here. On a recent Saturday, lines were long and the fish tacos as delectable as ever. Make sure you add on the homemade pickles (the sell 'em by the jar too). But across the street stands the Rockaway Plate Lunch Truck, a poignant reminder of the toll Sandy has taken. The truck offers up to 500 free meals daily to local residents. Word’s out that Bungalow Bar, one of Rockaway’s hidden gems and best sunset hangout on Jamaica Bay, has undergone a major refurb. 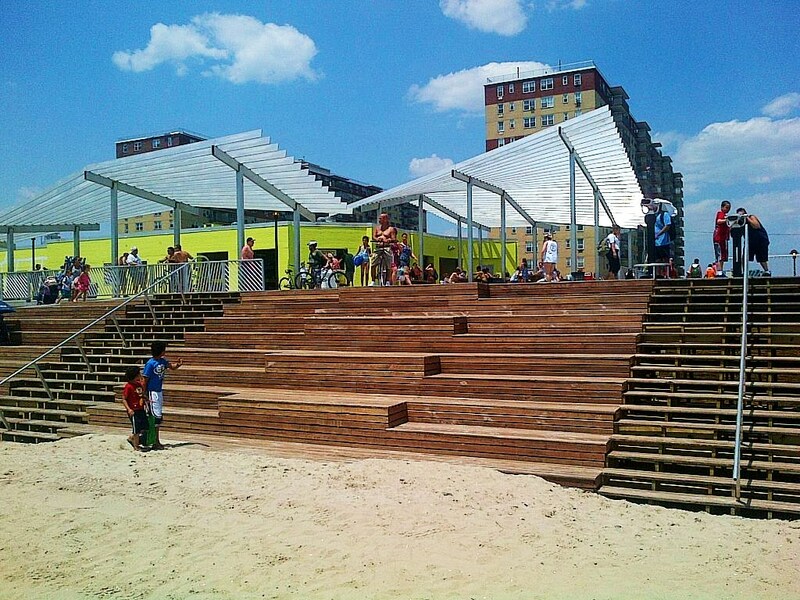 Getting there is easier this summer.The Rockabus is a convenient new shuttle to the beach from Lower Manhattan and Brooklyn. Buses leave regularly on weekends. It takes a lot to get New Yorkers to happily wait up to two hours for dinner served in a large plastic bag. 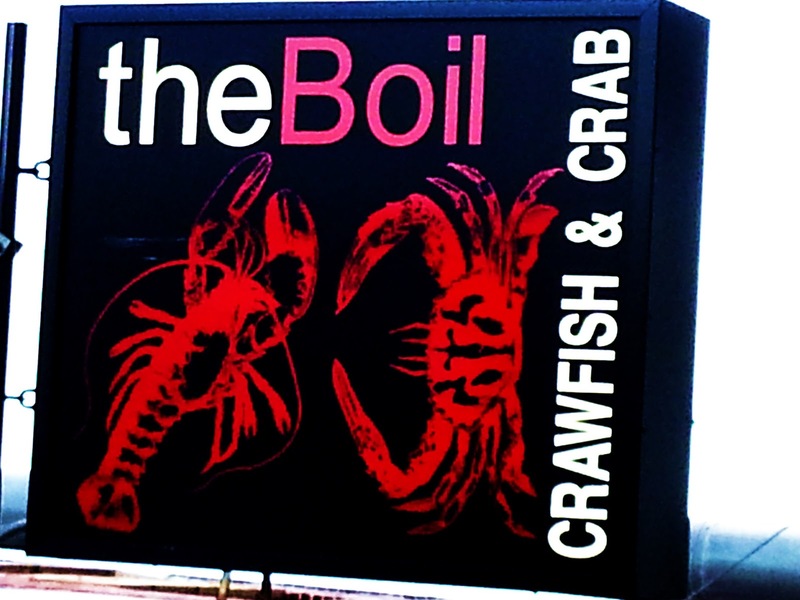 But The Boil, an exciting new seafood shack at the edge of Chinatown, deserves to pull it off. Here's why. The seafood is delicious. The value is excellent. You eat with your hands. The menu is straightforward. 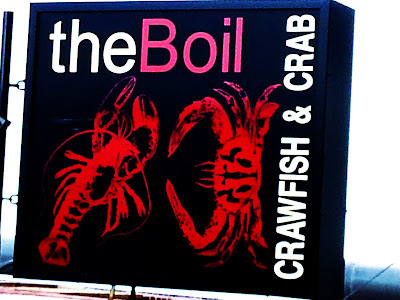 Seasonal Louisiana crawfish, crab, lobster, shrimp, and clams are served by the pound or in generous combo platters. Pick a level of spiciness and your choice of sauce: lemon pepper, Old Bay, or garlic butter.The addictive house blend - a mash up of the three marinades - is the way to go. Appetizers, including oyster sliders and catfish basket, are tasty enough. But save your appetite for the ridiculously generous combos. I could barely finish my $25 bargain dinner of a pound of peel 'n' eat shrimp and a pound of crawfish. The dinner includes corn, potatoes and sausage. The best part is that literally everything - sides too - is dumped into a gloriously warm bag full of special sauce. The melding of natural juices, butter, and garlicky seasonings creates an unforgettable coating that could keep the entire cast of "True Blood" at bay. Fresh crawfish is in season through August (but the owners are working on getting them year round). Don't worry if you don't know how to eat the tiny crustaceans. There are instructions posted everywhere. Just make sure you aren't afraid to dig in. Literally. The mess is all part of the pleasure. They have bibs on hand. The line starts forming nightly at 5 pm. See you there. Fage yogurt, or any thick Greek yogurt, can double as the base for instant, guilt-free chocolate mousse. Just add a squirt of good quality chocolate syrup. I use Trader Joe's organic Midnight Moo, which is fat free too! The yogurt's creamy tang is balanced perfectly by the sweetness of liquid chocolate. It's super rich, so a few spoonfuls go a long way. I take 2 big tablespoons of 2% Greek yogurt (must be Greek), squirt about a teaspoon (or to taste) of chocolate syrup onto it. Stir well and serve. That's it. If you have time, chill for an hour or so to thicken it. If you want to be fancy, add a chocolate swirl on top. For variations when you're not counting calories, you can add toasted coconut or granola too. It's pretty addictive and completely effortless.